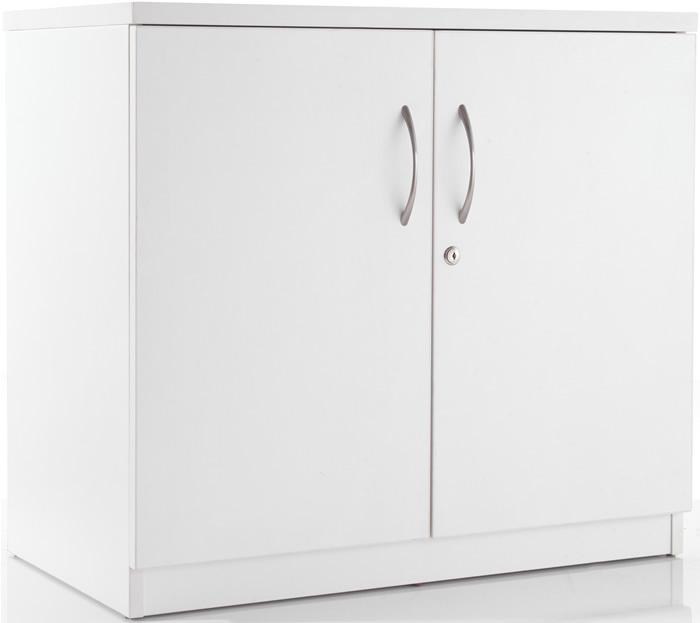 The TC Office Start 2 door white low cupboard features lockable doors and a 25mm thick unit top at 73cm high, great for use as additional surface space. The cupboards internal layout comprises of 1 centre shelf and the base of the unit for storing heavier items. Each door is finished with one curved chrome handle and the cupboard door lock is supplied with 2 keys. For peace of mind the Start office low cupboard features a 5 year manufacturers guarantee.